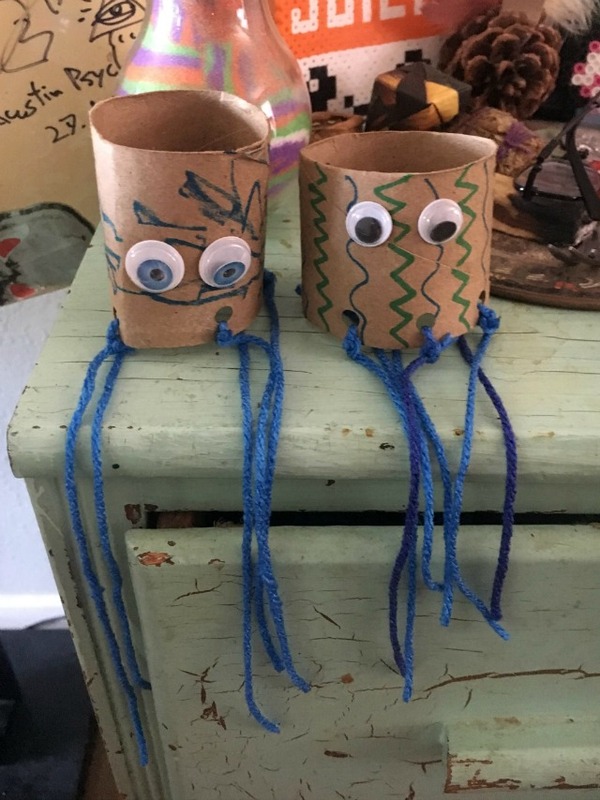 Toilet paper roll crafts for kids - C.R.A.F.T. 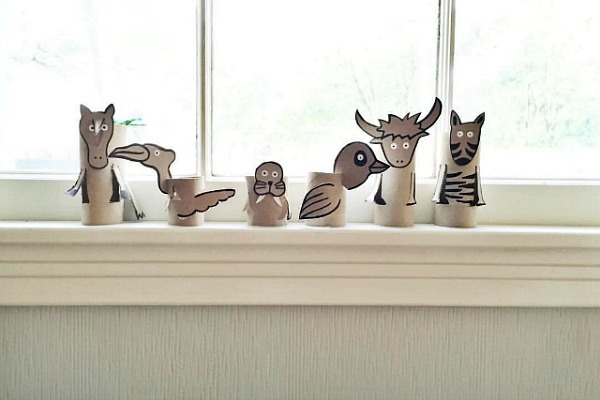 I’m not going to lie, I’m a little sad my toilet paper roll crafts for kids series is over! These little creatures are so cute, fun, and easy to make. 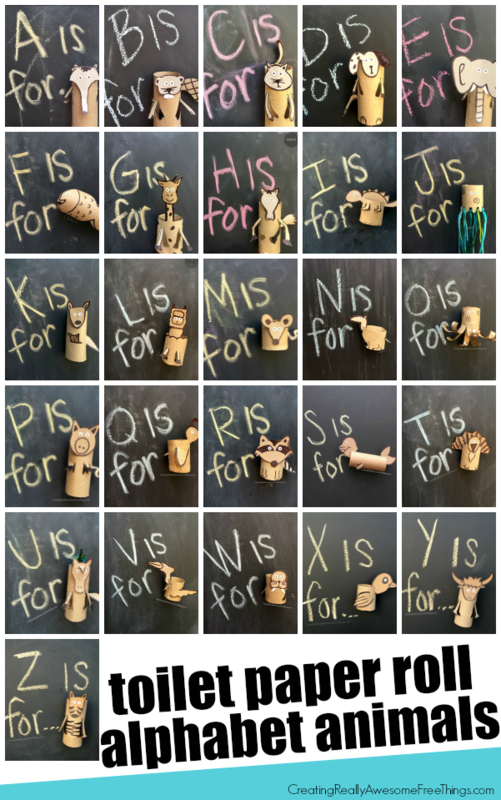 Did I mention that they’re free and double as a teaching tool for learning the alphabet? I made all 26 animals from free materials that I can almost guarantee you have in your house right now. You can easily substitute supplies on this list. For instance, paper towel rolls work just as well as tp rolls. If you don’t have empty cereal boxes, you can use any other empty food box container in your pantry or even a cardboard box. I prefer crafting with empty food boxes because they are easier to cut with scissors than a typical cardboard shipping box. Each animal on the list below has a detailed tutorial and fun facts to get kids interested in learning more about that animal. Did you know that an anteaters tongue is about 2 feet long? Me either! Did you know that beavers can see underwater? Did you know that cats sleep 13-14 hours a day? Did you know that puppies are born blind, deaf, and without teeth? Did you know that female elephants are called cows? Did you know there are over 30,000 known species of fish? Did you know giraffes have 4 stomaches, the extra stomaches help with digestion? Did you know horses can sleep both standing up and laying down? Did you know iguanas have a 3rd eye? Did you know jellyfish do not have brains? Did you know kangaroos can not walk backwards? Did you know llamas are herbivores which means they don’t eat meat? Did you know mice tails can grow as long as their bodies? Did you know numbats eat up to 20,000 termites each day? Did you know crab, shrimp, and lobsters are octopuses favorite foods? 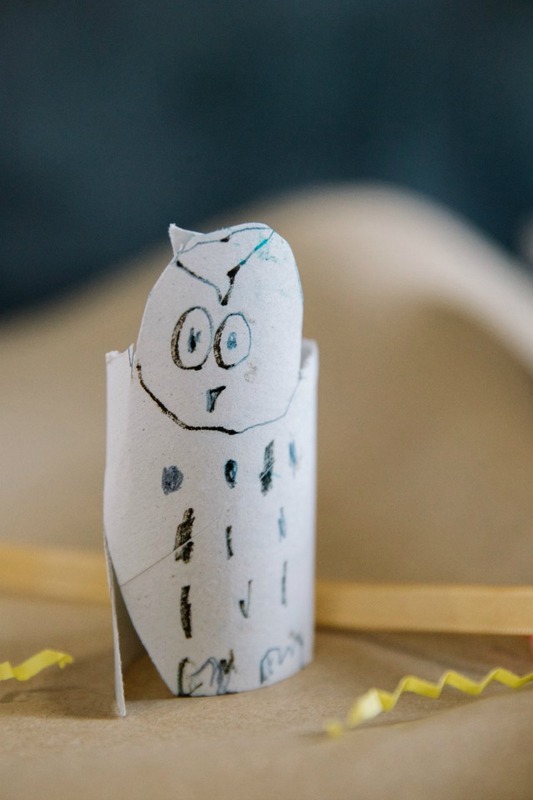 Another fun “O” toilet paper tube craft for kids is an owl! How cute is this kid made owl using the same simple technique? 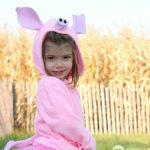 Did you know pigs are very clean animals? Did you know quails can only fly a short distance? Did you know raccoons are excellent swimmers? Did you know seals can sleep underwater? Did you know wild turkeys sleep in trees to keep away from predators? Did you know the unicorn has been a part of the Royal Coat of Arms of Scotland since the 1300s? Did you know vultures have really strong immune systems so they don’t get sick from eating rotten meat? Did you know walruses spend half of their time on land and half in water. Did you know xenops are found in Mexico, Central America and South America and tropical rain forest? Did you know 90% of all known yaks are found in Tibetan Plateau in the Himalayas? Did you know like horses, zebras sleep standing up, and usually only when in the safety of a group? 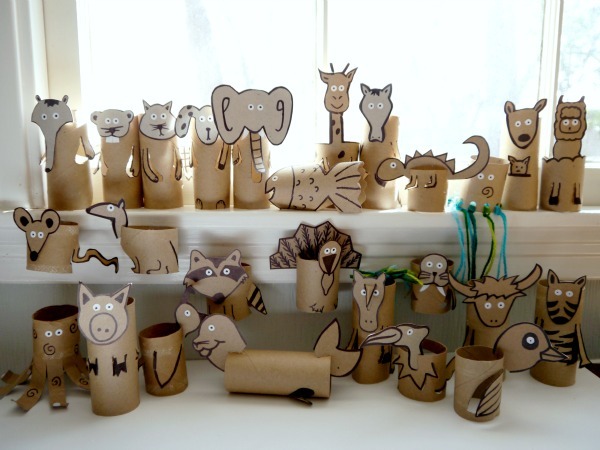 I mean how cute do the paper towel roll crafts look all lined up in alphabetical order?! Can you even pick a favorite? I thought the llama was my favorite until the unicorn appeared. And then I fell in love with the yak. U-V-W-X-Y-Z! Now we know our ABC’s! This is Max’s go to song in the car when Mila is crying! 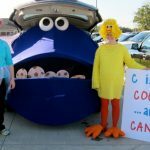 And if you liked this post, be sure to check out my kids craft book! 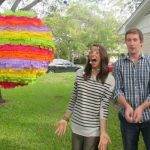 It’s called Creating Really Awesome Free Things: 100 Seriously Fun, Super Easy Projects for Kids . There are 100 kid craft projects made with things you likely have on hand! In fact, there are 5 more toilet paper tube crafts in the book that are not on this list. 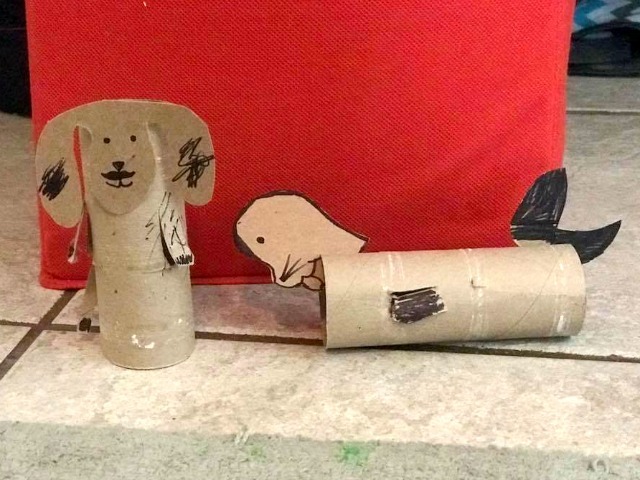 One of them is a monkey, and it might be my favorite tp tube animal of all time. Aw, those are adorable little toilet paper rolls, lol! My kids made wind socks out of a paper towel tube I cut in half last week. 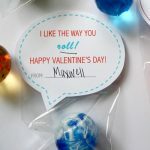 We taped crepe paper to the bottom- I finally ripped it off the ceiling after a party we had in the basement months ago… Thanks for sharing at the Family Joy link-up! Wow. Those turned out so cute. My granddaughter would love it. Time to start saving tp rolls! I had to stop back to see the complete set. Awesome!! I can’t tell you how much I love these! They’re frugal, which is a plus but they are so surprising (in a good way) and absolutely adorable!! Thanks for sharing with us at Throwback Thursday! I peeked in earlier, but didn’t get a chance to comment before now! Have a great weekend!